The weather in Bloomfield, New Jersey during the winter months often aren’t conducive to exercising outside. There are alternatives, such as taking your workout indoors. For those who still want to run or jog outside, you have to learn how to exercise as it gets colder. Depending on the temperature, dressing for the workout is top priority. There’s a huge difference in how you dress if the weather is barely over freezing and far below the freezing point. 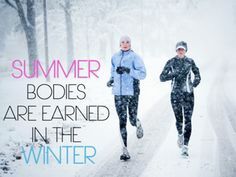 There’s also a difference in how your body handles the cold weather. Your body has to deal with more than just the workout in cold weather. Cold weather causes the arteries to constrict, which reduces the blood flow to the heart. If you have heart problems, bring your workout indoors. For all others, it can be tougher to get a good workout, but also produces better results when it comes to weight loss. If you have problems with asthma or breathing, don’t forget to cover your face with a scarf or ski mask. Bronchioconstriction can occur from the colder temperature and dryer air. The scarf or mask will help moisten the air by trapping the moisture when you exhale. Breathing in through the nose is also important. Layer your clothing to stay the warmest. Not only do the layers provide more insulation than one much heavier article of clothing, you can also adjust the layers as the exercise makes you warmer. Sweating in cold weather only adds to the potential of chilling. Don’t forget the extremities with warm socks and gloves. Many people recommend the first layer should be of material like thinsulate or other ones made specifically for the cold. Don’t forget a hat. You lose lots of body heat through the top of your head. In fact, it’s more than any other part of the body. Check more than just the temperature before going out for a run or jog. The wind-chill is particularly important in the winter. It causes cold weather to feel even colder. If you’ve ever run or walked in cold windy weather and had to turn your back on the wind, you know the difference in how cold it is running or walking into the wind compared to having the wind at your back. Don’t forget to do a warm up before starting. You can start inside with dynamic stretches. Take a few extra minutes of warm up time to ensure you have full range of motion. Cold weather brings on stiffness. One way to warm up your lower body is climbing several flights of steps. Stay hydrated. You may not feel like you’re thirsty as you might in the summer, but working out can make you lose fluid in the form of sweat and the air is dryer. If cold water sounds a bit too chilly for you, try some warm tea or even warm water with a bit of lime in it. Watch out for frostbite. Even though it tends to occur mostly when the temperature is below 5 degrees, wind-chill makes all the difference. Check the windchill before venturing out. At a negative 18 degrees, frostbite occurs within thirty minutes. When they say it feels like -10, it means it affects your body like a -10 degree temperature. Create an indoor workout or go to the gym on those days that are either too cold, windy or wet for a healthy workout outside.